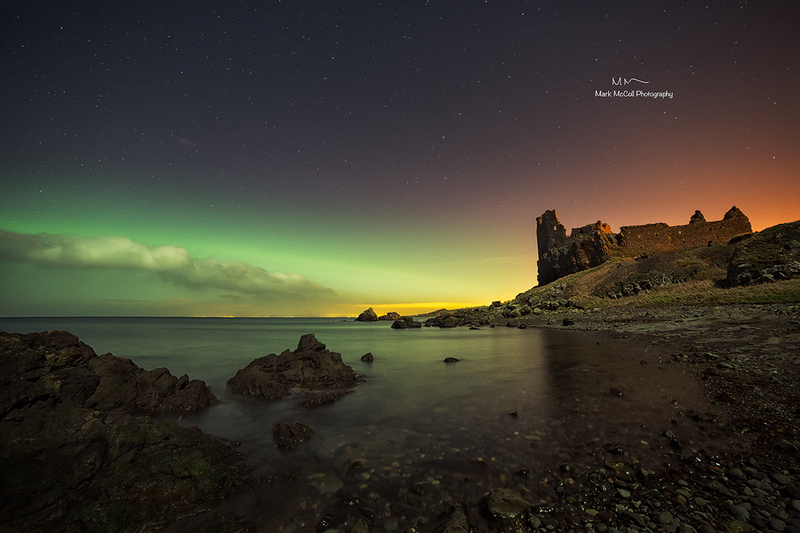 Aurora borealis at Dunure Castle, Ayrshire, Scotland - I tend to keep an eye on whats happening with aurora activity as I can sometimes see it near to home. There was a nice arc of aurora at this beautiful old ruin of a castle on the Ayrshire coast in mid January 2016. The warm colours off to the right are street lights from the village.